“I am a storyteller,” Cottman told the MSR. “I tell stories to share African and African American culture and history through the oral tradition. This is one of the oldest forms of cultural expression. Born and raised in Kansas City, Missouri, Cottman has a long-standing connection with the Twin Cities. 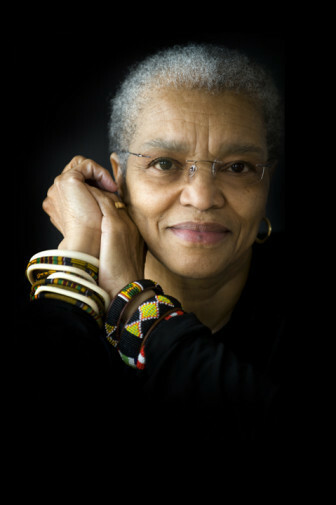 She relocated to Minneapolis in the late 60s with her husband, whom she met at Howard University while in grad school. Cottman describes herself as a Black woman, wife (of Bill), mother (of Kenna), grandmother (of Yonci and Ebrima), retired educator, visual/literary/performance artist and storyteller. She is all these things and more to a community who know and love her. Her audiences are full of children and adults, and she has performed in everything from libraries to theaters, churches, senior residences, conference rooms and school auditoriums. “I practice the African oral tradition for education and entertainment. The stories teach values, instill pride, evoke self-love and celebrate culture” she added. Her stories are based on African and African American folktales, myths, fables and traditions. With a storytelling style of ancient technique with a contemporary twist, Cottman spreads the word through African rhythms that are juxtaposed against urban beats. To go along with her amazing narratives, she wears beautiful flowing traditional garments that are transformed into hip outfits to accompany her stories. To further explain her work, Beverly commented, “I place old stories in modern settings that keep the themes of peace, love, friendship, culture and unity intact. I am a modern-day griot delivering wisdom of the ages in a voice of the present for the future.” Her work will be featured in an upcoming production called I AM Woman curated by Danielle Daniel at Patrick’s Cabaret on Saturday, March 12. She also has a part in the play Conference of The Birds at Pangea World Theater, which opens on Friday, April 1. When not focused on the future or perfecting her craft, Cottman likes to spend a lot of her free time practicing yoga, relaxing and reading. At least one day per week, she spends time at Sumner Community Library in Minneapolis. She also does creative visual works of art and exhibits when possible. Cottman tells stories very well — stories that transcend generations and experiences. She is definitely reaching her goal of teaching the youth to learn about, and cherish themselves and their culture. Auntie Beverly is focused on staying connected to your past, present and future through the use of storytelling. Brandi Phillips welcomes reader comments at bphillips@spokesman-recorder.com.